If getting there is half the fun, being there is the total experience. One of the attractions of boating is to gain a different perspective on interesting destinations; a perspective that many dream about. Sea-Doo watercraft make that dream obtainable and take the different perspective a step further as a Sea-Doo watercraft can go places a traditional boat can’t offering a truly unique recreational experience no matter what your destination. There’s a reason we often talk about the Sea-Doo life, as it’s truly a lifestyle to embrace. What you experience, where you experience it, and whom you experience it with leads to memories of a lifetime, similar to family vacations, so why not combine the two? In this OnBoard entry we are going to share some of our favorite North American Sea-Doo destinations and how to make the most of your Sea-Doo life. While you’re waiting for spring to arrive, let us help you get your Sea-Doo fix and give you some ideas towards planning a memorable Sea-Doo trip in 2015. Our first destination is known around the world amongst enthusiasts as the home of the IJSBA World Finals championship watercraft races every October but for the southwest United States this is PWC heaven year round. The self-proclaimed, “Watercraft Capital of the World” lies on the Arizona side of the Colorado River looking west over California where the Parker Dam 20 miles south formed this man-made lake. Not so long ago the town was simply a blip on the map but in the late 1960’s an entrepreneur named Robert McCulloch decided to develop tourism in the city by bringing the actual old London Bridge to the desert Oasis. The problem was there was no section of water for the bridge to span so he had a channel dug turning the city’s peninsula into a bridge and creating a true historical landmark that is the signature of the city today. 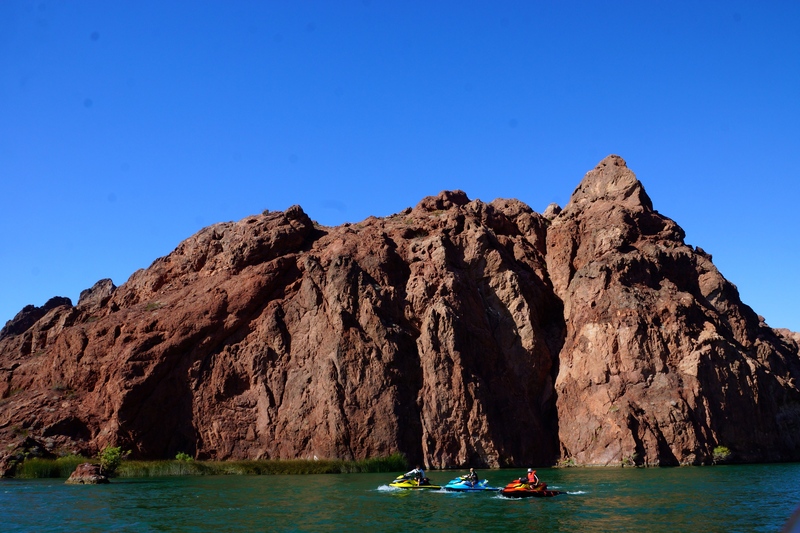 Lake Havasu is very watercraft friendly and offers miles of shoreline to explore from the Parker dam to the south up through the beautiful Topock gorge and beyond roughly 70 miles to Laughlin Nevada and the next dam in the system. Accommodations: There are hundreds of vacation homes and condos to rent if you are staying with group or various hotels close to the bridge area. Where to Launch: We suggest the Site Six public launch ramp on the southwest side of Fiesta Island or Windsor Beach State Park (entrance fee required). Where to Eat: in town we recommend Shugrue’s for a consistently good, premium meal and while on the water we say make up the river to the I-40 bridge and dock at Topock 66 Spa & Resort for a great meal overlooking the water and passing by trains. Ideal Sea-Doo model: The Sea-Doo GTI SE for all around watersports fun or either of the GTX Limited models for touring comfort. Loop 360 launch ramp in Austin. Deep in the heart of Texas, Austin is known for being weird and citizens are proud of it, living by the mantra, “Keep Austin Weird.” Don’t take this as a negative but as endearing as this is arguably the most beautiful and diverse city in Texas and besides being the state’s capital is a college town, home to the university of Texas. The city is also known for it’s hip music scene and delicious Tex-Mex and BBQ dinning. The city folk enjoy their outdoors and boating. The area offers two main boating options being Lake Travis and Lake Austin, which is essentially the Colorado River below the dam of Lake Travis. Lake Travis is a bustling waterway in the summer month although the past few years the water levels have been low meaning the on water activities have been condensed and limited. When water levels are normal there are miles of waterways and coves to have fun on. Down below where the river runs through downtown is ideal for watercraft as the winding river provides a fun riding path. 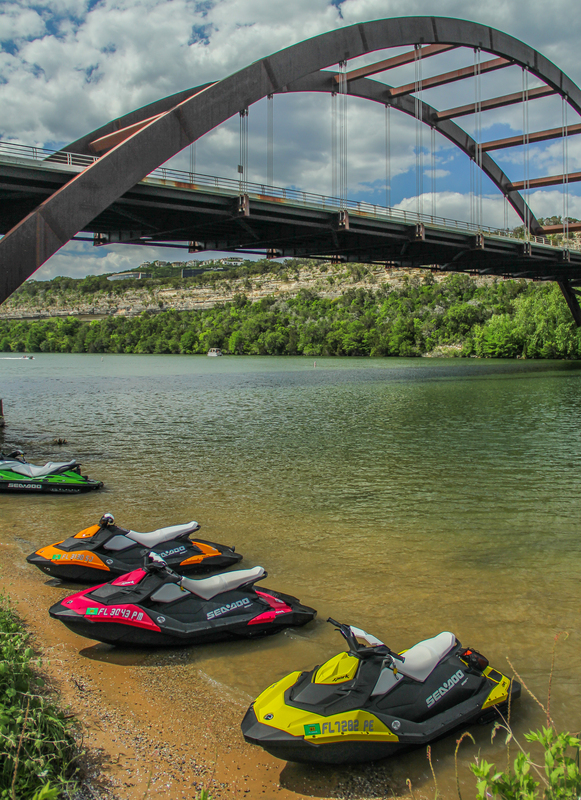 Accommodations: There are plenty of hotels in the area but for a memorable Sea-Doo trip we suggest La Villa Vista Resort on Lake Travis. La Villa Vista has a bit of romance between European style and Texas flair. Where to Launch: Lake Travis has a dozen public boat ramps and dozens more at private resorts, check the LCRA website for updates on usage related to water levels. For touring the river below, go to the Loop 360 launch off of the highway for which it’s named. As the oldest city in Canada, Quebec City will offer you an experience as close to being in Europe with out having to ride across the pond. The little big city rests at the bottleneck of the St. Lawrence River and was a natural stop for immigrants making their way to the new world from Europe by sea. The city celebrated their 400 birthday a couple of years ago and the history can be felt throughout the downtown area, “inside the walls” a system of stone walls surrounding the city during times of unexpected attacks. The stone buildings and cold weather friendly designed French architecture is felt throughout the area with the Chateau Frontenac, or known as the castle by Quebecers is the signature landmark of the city. There is plenty to see and do on land and also plenty to see on water, although you should plan a Sea-Doo trip in July or August, as the boating season in this northern city is short. In addition to the breathtaking views of downtown there are numerous waterfalls and landmarks to see with in an hours ride including the infamous Grosse Isle where thousands of Irish immigrants were quarantined during times of epidemics. No matter where you beach or dock be aware of the tides that can fluctuate by as much as 7 meters or 21 feet. Accommodations: There are dozens of fine hotels in the downtown area but trailer parking can be a problem so we suggest venturing five minutes to the west to the highway 540 and 73 interchange area where there are roughly half a dozen three-four star hotels. 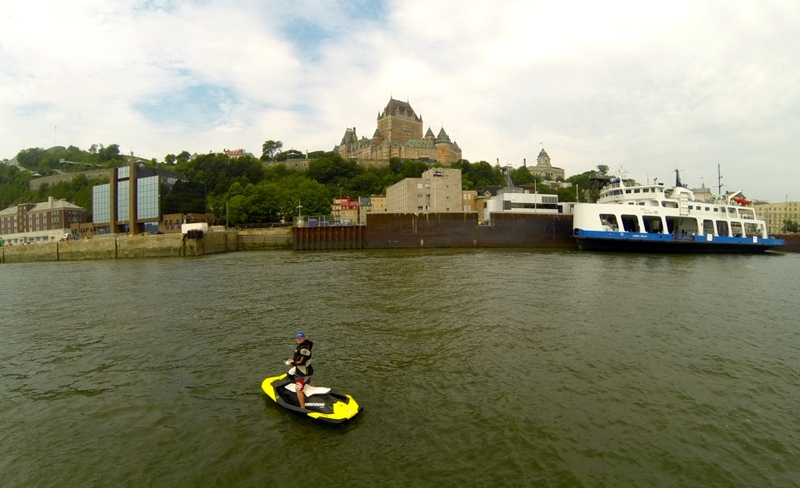 Where to Launch: Finding a ramp is tricky with the vast water level changes but we suggest, “Rampe De Mise A L’eau” located on the east side of downtown on Rue de l’Anse au Foulon. Where to Eat: We suggest Versa, located on the north side of downtown serving great seafood and a wide variety of food. There is something for everybody in the family except your trailer, take a cab or walk to Versa. Ideal Sea-Doo model: Any of the Sea-Doo models with the S3 hull to bridge the chop and suspension to provide the smoothest ride, such as the GTX Limited iS 260, GTX 155 S, or the RXT-X aS 260. Many have heard of this Florida town perhaps as the home to I Dream of Jeannie, surfing star Kelly Slater, and NASA but further inland lies the flavor of the real Florida. Cocoa Beach certain has beautiful beaches and rests on the barrier island separated by the Banana and Indian Rivers. The, “rivers” aren’t actual rivers but estuaries, in fact the Indian River stretches over 80-miles along the east coast and is the most diverse estuary in North America with over 4700 different species of life. These rivers offer great boating but 20-minutes further to the west is the beginning portion of the St. Johns River, one of four major north flowing rivers in the world filled with dark, tannic died waters of Florida swamp land. Here is where you will see blue herons, wild hogs, alligators and grazing cattle. The river is still narrow and twisty in this area offering the closest feeling to a road course on the water but be careful of airboats and other vessels around those blind corners and bring a GPS as the various fingers of the river begin to look alike. 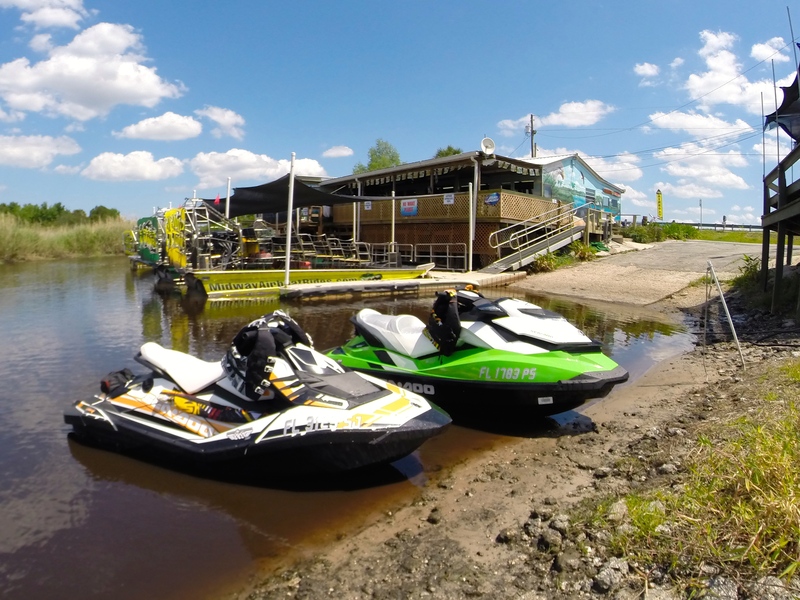 On the St. Johns is where you will gain a new appreciation on how you can enjoy riding a Sea-Doo watercraft. Accommodations: Cocoa Beach is a very popular vacation destination with dozens of hotels to choose from and nearly all of them have adequate trailer parking area. We suggest The Inn at Cocoa Beach that includes beachfront views, continental breakfast and happy hour wine and cheese. Where to Launch: On the Banana River we suggest Kelly Park on the Beachline Expressway adjacent to Port Canaveral and with in view of NASA’s VAB (vehicle assembly building). On the St. Johns, we recommend to venture to Leroy Wright Recreation Area on the 520 highway across the street from the Lone Cabbage Fish Camp. Where to Eat: Grills Seafood at Port Canaveral is a must dine, accessible by land or water, Grills serves the freshest of Florida Seafood and treats you to live music and views of the action at the busiest cruise ship port in the US. On the St. Johns the Lone Cabbage Fish Camp is another must dine, also accessible by land or water, this rustic stop serves scrumptious gator tail while you can watch the tourists go come and go on airboat rides. Ideal Sea-Doo model: The St. Johns is arguably the epitome of where the Sea-Doo RXP-X 260 was designed to be ridden. With miles of switchback turns on mirror flat water, the street bike riding style of the RXP-X has never been so fun. 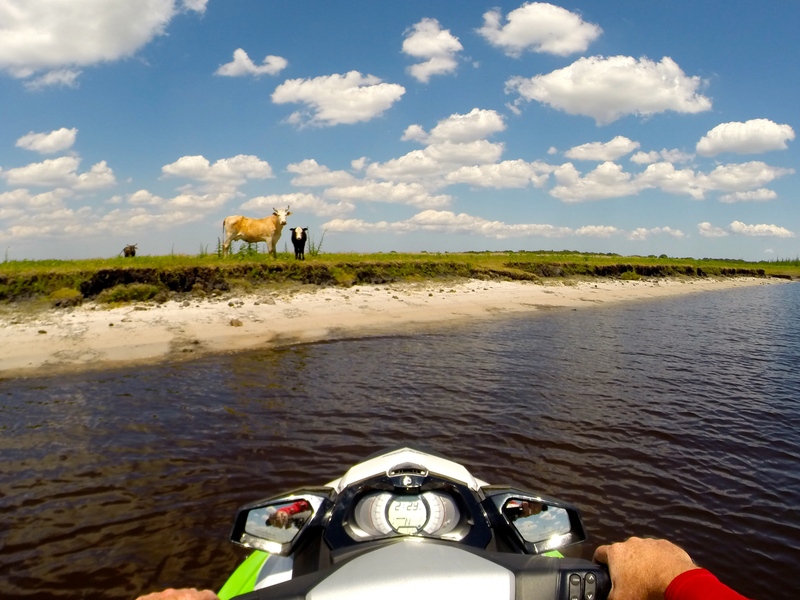 The other option would be a Sea-Doo Spark to playfully meander around the lush vegetation and protected waters and ability to easily manage the occasional shallow water areas. Lake Havasu City, Arizona is the self-proclaimed personal watercraft capital of the world, and during one week in October that is undoubtedly a fact. 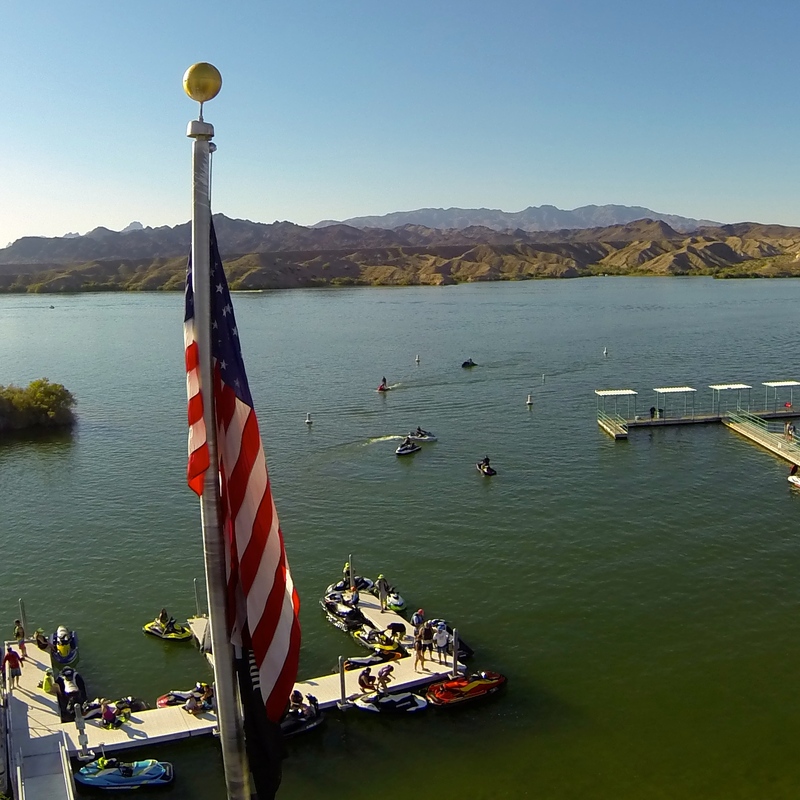 For the past 32 years, the beautiful blue waters of Lake Havasu have been home to the IJSBA World Finals, the PWC racing and freestyle world championships. Race fans and watercraft enthusiasts from all over the world congregate in the small Arizona town to see the best PWC riders do what they do best, but also to enjoy the incredible landscapes and riding. Lake Havasu and the World Finals is a destination and the Colorado River provides some of the best PWC riding areas in North America. 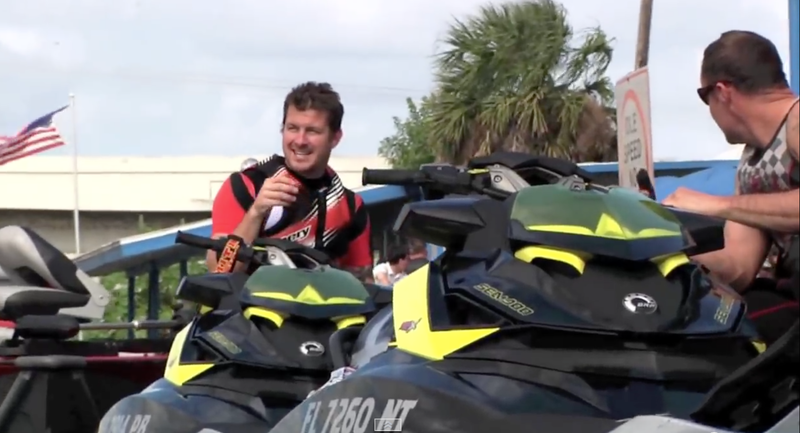 BRP will be conducting the third annual Ultimate Sea-Doo Owners Ride, on Saturday, October 12, in conjunction with the 2013 IJSBA World Finals. This will be an organized group ride from Site Six on the Lake Havasu Island, under the historic London Bridge and up the Colorado River, passing through picturesque Topock Gorge and arriving at our lunch destination, Pirates Cove Marina. 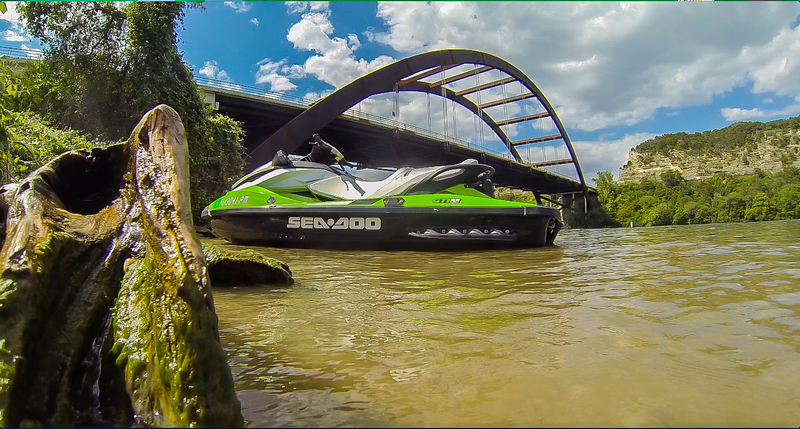 The ride is open to all Sea-Doo product owners and includes some special opportunities. 2013 Ultimate Sea-Doo Owners Ride III participants will join others who share the same passion and interests and will also be provided lunch at Pirates Cove, be given an event t-shirt and have the opportunity to win Sea-Doo prizes. The extra bonus is all participants will be privileged to a VIP test ride of the all-new 2014 Sea-Doo watercraft at Pirates Cove. The 2014 Sea-Doo Test Ride will be open to the public at Pirates Cove, on Saturday, October 12 only, so reserve your time slot today. 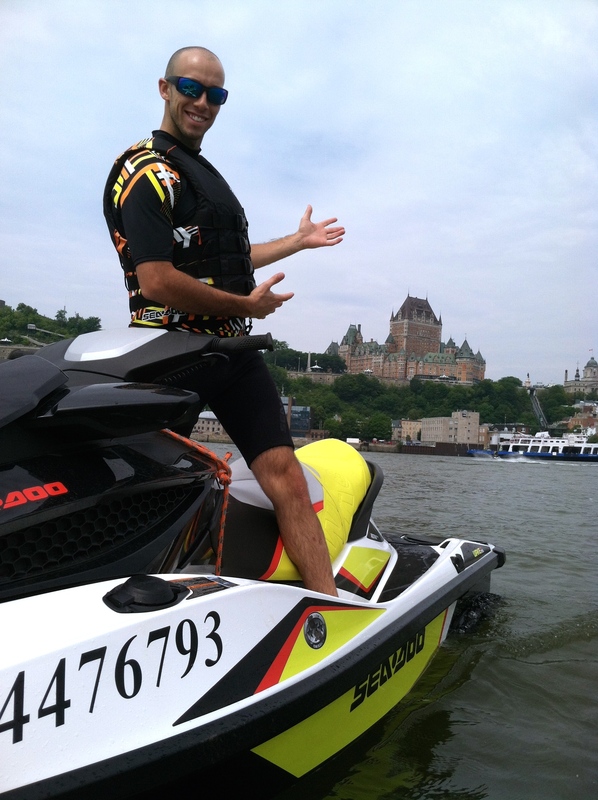 To register to participate in the 2013 Sea-Doo Owners Ride III or to reserve your test ride, visit www.seadoodemo.com. This year, treat yourself to the Ultimate Sea-Doo weekend by participating in a memorable Sea-Doo owners ride and watching the Sea-Doo X-TEAM racers chase racing glory at the World Finals.